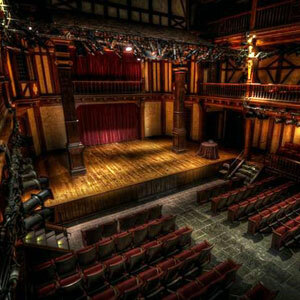 The Folger is thrilled to welcome your students to the theater for a complete performance experience! Students are exposed to professional theater of the highest quality, developing and deepening a respect for and love of the arts. 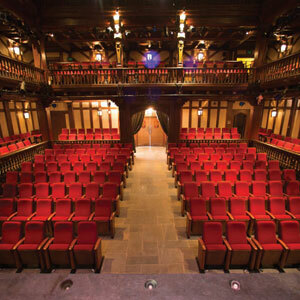 Students engage with Folger actors and staff during a post-show discussion and are encouraged to think critically about theater and connect it to their lives. Folger Docents lead tours of the Great Hall an hour before the show to help students explore part of our current exhibition. Teachers interested in support and/or resources helpful in teaching these plays, contact Folger Education at educate@folger.edu. Tickets to student matinees are $25 per person and one chaperone is required for every 10 students. 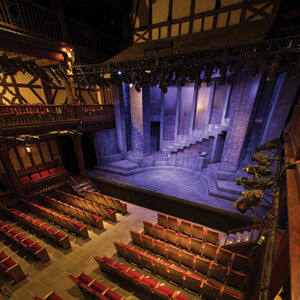 For inquiries and reservations, please contact the Box Office Associate for Group Sales, Grace Murtha, at groupsales@folger.edu or by calling the Box Office at 202-544-7077. Tickets for the 2018-2019 student matinees are currently sold out. Tickets for the 2019-2020 student matinees will go on sale on May 1. 1) Choose your show and a date that works well for your group. 3) Rest easy knowing that your requests will be filled in the order they were received. Riotous nights with friends and a father who's after you to take more responsibility are common features of youth. Less common is when your father is the King of England. A favorite actor returns to the Folger as four-time Helen Hayes Award-winner Edward Gero plays Falstaff in this compelling history. With Kate Eastwood Norris as Mistrss Quickly, Naomi Jacobson as Worcester, and U. Jonathan Toppo as Northumberland. Professional jealousy and personal crisis drive composer Antonio Salieri to turn from God and towards one clear, dark goal: destroying Wolfgang Amadeus Mozart. After extraordinary Folger performances as Macbeth and Iago, Ian Merrill Peakes takes on the role of the jealous Salieri. Falstaff has a plan to woo a wealthy woman of Windsor—he's not particular about which one. Though his romantic targets are fast friends, he hedges his bets and pursues both at once. Too bad for Falstaff (played by Brian Mani), the Windsor wives have plans of their own. With Kate Eastwood Norris reprising the role or Mistress Quickly, Cody Nickell, and Todd Scofield.